The prices of your custom patches are based on the size, type of patch you choose, backing, border style, quantity, and percentage of embroidery. Get an Instant Quote Now! 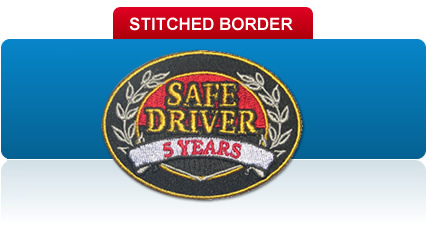 Embroidered patches are the most popular type of patch. They are custom-made to your design needs and can be produced in any shape or size. Woven patches can be much more detailed than regular embroidery. Even the most intricate designs can be produced and small lettering can be read clearly. Woven patches are thinner and more flexible than embroidered emblems. Sublimated patches preserve the exact details of the design elements and are photorealistic with 16.7 million colors. Sublimated patches are resistant to fading with even the harshest washing conditions, and they are the best option if you need your patches in the shortest delivery timeframe possible. Appliqué patches are 100% embroidered and they look like direct embroidery because they are laser-cut to the shape of the design. An appliqué patch can also have a cut-out within the inside of the patch. Applique patches are made with low-melt backings, so they can be applied to a garment with low heat, or sewn on. We keep the following flags in stock, which means that we can ship them to you within 5-7 days: U.S. flag with gold or white border, all state flags, and some country flags. 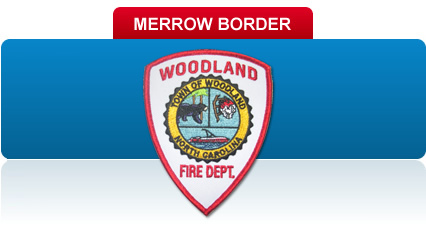 Flags that are not in stock can be produced as an embroidered patch, woven patch, or sublimated patch. Flame resistant patches are made with flame resistant threads and fabrics. Your patches are made with 100% Dupont Nomex fabric, with a special fire resistant backing. Nomex is a patented flame resistant fiber used to make patches primarily for protective clothing worn by firefighters, race car drivers and aircraft personnel. Reflective patches are made with 3M reflective fabric and are primarily for police, safety, and security personnel. 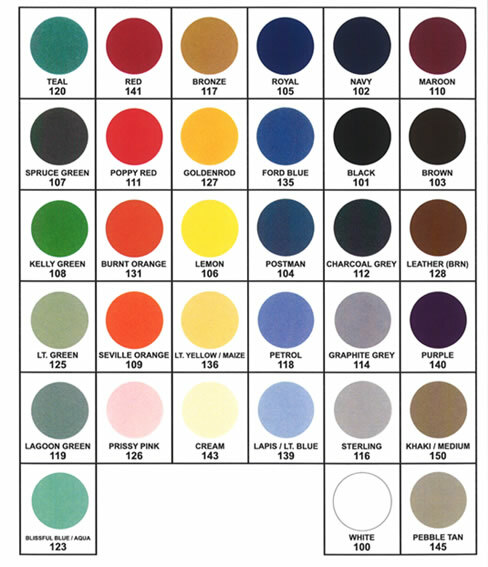 Blank patches come in basic shapes and sizes. You have the option to chose your fabric color and merrow border color. Epaulettes are primarily applied on the shoulder of a uniform. Epaulettes are often used to demonstrate rank by military or other organizations. Plastic backing: The most popular and is used for patches that will be sewn on a garment. Low-melt backing: Gives you the option to iron-on your patch or sew your patch to your garment. Low-melt backing is $.05 - $.19 per patch. Velcro backing: $.15 - $.19 additional charge per patch. Pressure sensitive adhesive backing: $.15 additional charge per patch up to 8”. Merrow border: The most popular with simple shaped patches. Merrow border is 1/8 inch thick. Stitched border: Thinner than merrow border. Measures 1/16 inch thick, and is typically used for patches that have more intricate cuts including appliqué patches. Our minimum order quantity depends on the type of patch you choose. Embroidered patches, sublimated patches /digital print patches, appliqué patches, and flags: - 12 piece minimum. Flame retardant patches / Nomex patches, reflective patches, and blank patches: 25 piece minimum. Woven patches and epaulette patches: 50 piece minimum. Patches that are not 100% embroidered use twill fabric as the background color. 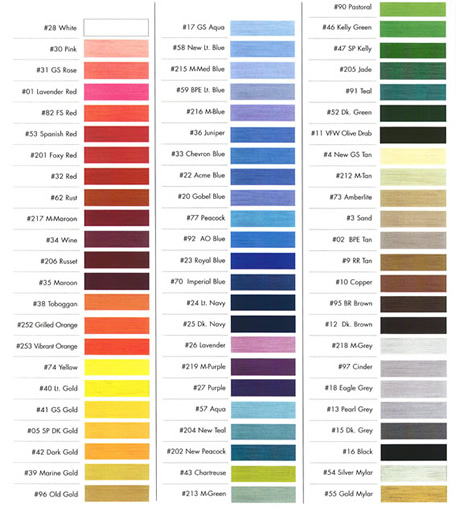 Please refer to the fabric color chart to see what colors we have available. Percentage of embroidery does not apply to woven patches & digital print / sublimated patches. The threads on an embroidered patch make up the individual stitching found in the details. Twill fabric is generally used as the background color in an embroidered patch, unless the patch is 100% embroidered. Flame resistant fabric & threads are typically used in patches for safety & security. Embroidered patches, woven patches, appliqué patches, reflective patches, and epaulette patches are shipped in 10-12 working days after order is placed. Rush delivery: patches are shipped in 5-7 working days for an additional charge. Sublimated patches are shipped 3-5 working days. Stock flags are shipped in 5-7 working days. Flags that we keep in stock include U.S. flag with gold or white border, all state flags, and some country flags. Flags that are not kept in stock are shipped in 10-12 working days. 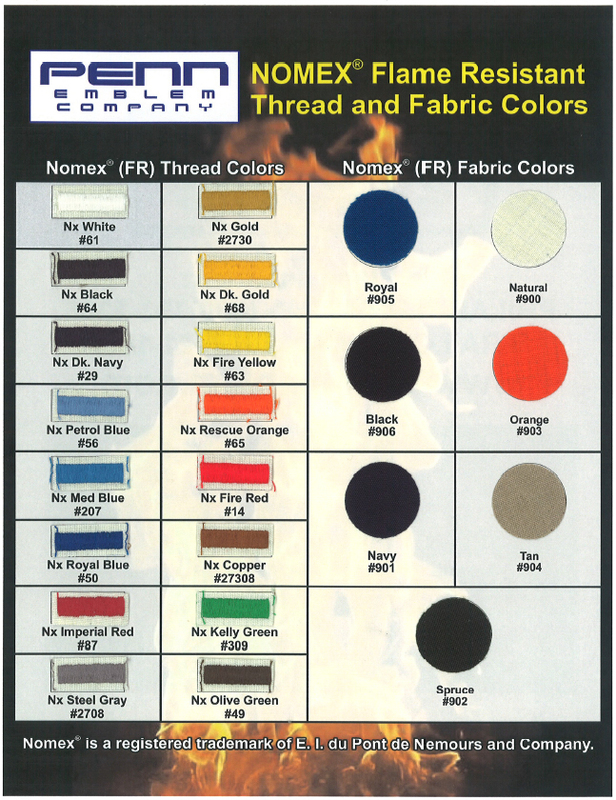 Nomex / flame retardant patches are shipped in 5-7 working days. Shipping options after the patches have been produced include: overnight, ground, 2 days, and 3 days. Customers have the option to use their own UPS account number to ship the patches.